Goodbye 2017! Hello New Year. But wait, was 2017 just another blah year for volunteer managers? The biggest take-away from 2017 I believe, is that volunteer managers across the globe are finding and connecting with one another to share, learn and most importantly, become strong advocates for the profession. November 5th was International Volunteer Manager day: The theme for 2017 was “Be The Voice” and volunteer managers world-wide took the pledge to be the voice for volunteer management. Symbolic gestures of solidarity can be the impetus for real change. 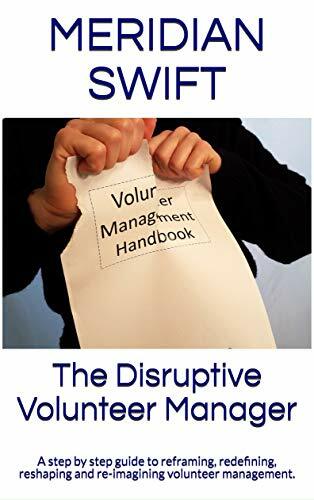 Lisa Dyer, CVA, in conjunction with International Volunteer Manager day and the theme, “Be the Voice,” hosted a Blog Carnival which featured 12 volunteer manager blogs all advocating for volunteer management. We are learning that we share common challenges and goals, which points to more collaboration in the future. In July, the Minnesota Association for Volunteer Administration MAVA hosted the National Summit on Volunteer Engagement Leadership in St. Paul Minnesota. Over 500 professionals gathered to learn, connect and brainstorm the future of volunteer engagement leadership. The need to strengthen connections was one of the many take-aways. 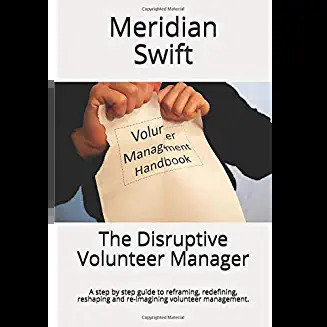 VolunteerMatch continues to provide free resources for volunteer managers on the blog Engaging Volunteers while providing matching opportunities for prospective volunteers and organizations seeking help. Currently, there are 1.3 million monthly visitors. Alive, the Association of Leaders in Volunteer Engagement and VolunteerMatch, two dynamic volunteer leadership organizations, are partnering to further volunteer engagement resources. We are looking forward to the future of this pairing. Points of Light Conference on Volunteering and Service was held in Seattle in June, and the volunteer engagement track highlighted five trends. These trends include ‘volunteer management can make or break an organization’ and ‘everyone has a role in volunteer management.’ It is great to hear these trends discussed on a large platform. At the Volunteering New Zealand’s annual conference in Auckland, Rob Jackson’s keynote speech centered on stop being so bloody nice. Rob argues for the advancement of our profession by adopting professional attitudes and practices. Over and over, we have learned that millennials are attracted to companies with strong cultures of giving which means volunteerism among millennials is a high priority. This up and coming generation gives us hope for the future of volunteerism. A Twitter hashtag campaign gave us #volmgmt and #LOVols to tweet about all things related to creating great volunteer programs. Everywhere, our neighbors, friends and fellow volunteers rushed to help those in need. After Hurricane Harvey, volunteers rushed to help in historic proportions. Goodwill exists: An army of volunteers rush to help. After Hurricane Irma devastated Puerto Rico, volunteers are still on the ground. People step up and volunteer: They fill the need. The above events are just a sampling of the enormous strides being made in volunteer engagement and leadership. I’m excited for 2018. I hope you are too. What a great summary of 2017 for the volunteer engagement profession, and wow – look at all we accomplished! Thank you for the part you play in the conversation, Meridian.